Henderson attorney Bob Massi is no stranger to the media. 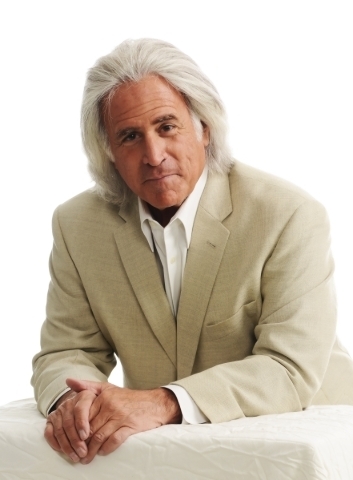 On July 11, Massi debuted his television show, “Bob Massi Is the Property Man,” on Fox News. The show airs every Sunday until mid-September with a second season to come. According to Massi, it’s not your typical real estate show. Although Massi enjoys having a television show, he said his law practice, which is at 105 N. Pecos Road, Suite 100, in Henderson, comes first. “My media career has never impacted my law practice because most of the time I’m on very early or late in the afternoon so my full business day is dedicated to law,” he said. Massi has practiced business law, real estate law and personal injury, wills, trusts and probate, for more than 30 years. “Bob Massi Is the Property Man” was just signed for a second season, Massi said, and will be filmed in Florida in Tampa, Miami and Orlando. Although the real estate industry in Las Vegas is bouncing back, there’s still a long way to go, according to Massi. “We’re doing a lot better but we need the banks to finish foreclosing on homes. And we need to be careful not make the same mistake and overbuild and have lenders make it too loose so people end up buying homes they shouldn’t,” he said. “We’re not off the ventilator. Because he understands how television works, he doesn’t have any expectations for “Bob Massi Is the Property Man” in the future, he said.